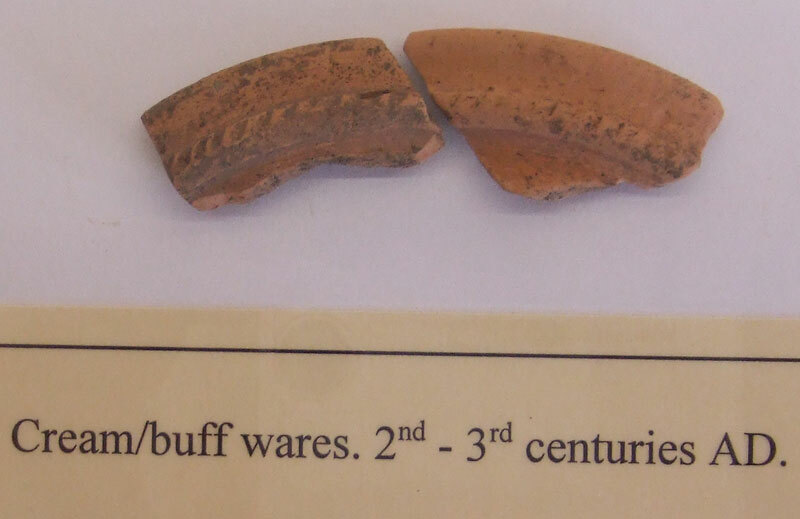 The finds tell us that there was a substantial and prolonged settlement at Mellor at some time during the 1st to the 4th centuries AD. We can not say for certain however that there were Romans themselves on the hilltop, but that whoever was living there certainly had contact with the Romans. 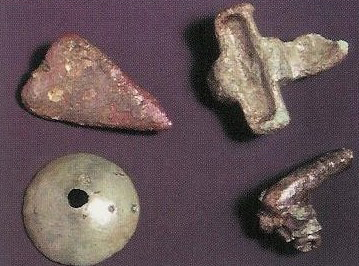 The finds themselves came as a suprise, as until the discoveries at Mellor there had been virtually no previous evidence for either the Iron Age or Romano-British periods in the Stockport Borough and only two native settlement sites in the whole of the Greater Manchester Area at Castle Steads in Bury and Great Woolden Hall Farm, Salford, both of which are fortified enclosures. 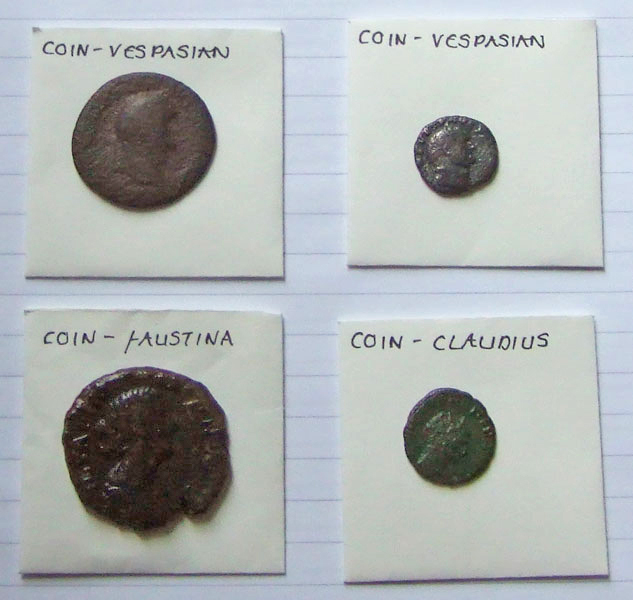 The archaeology at Mellor suggests a relatively high status civilian occupation, where people used artefacts of personal adornment such as Brooches,they also used Roman Pottery and Coins The Roman pottery and brooches date from the late 1st Century and the coins through to the third Century. 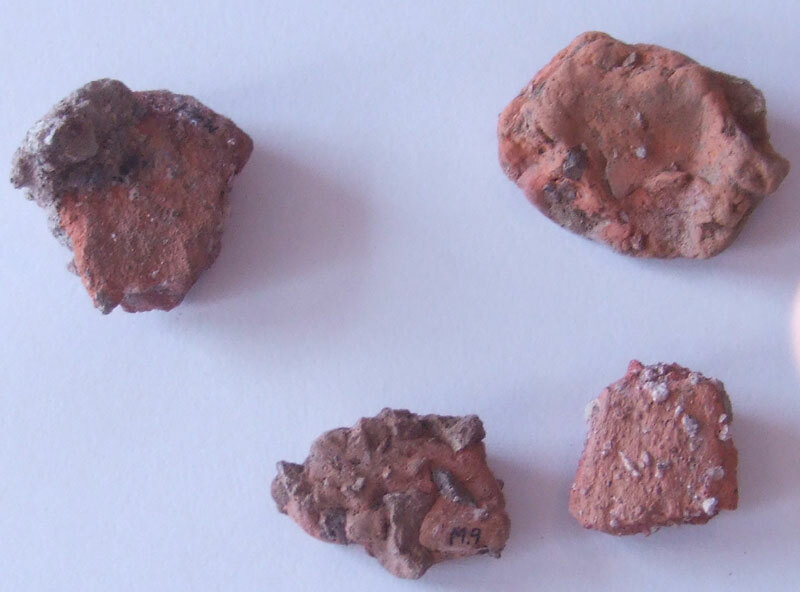 These tell us that the site was occupied from the time of the launch of the Roman campaigns into the Iron Age tribal area of Brigantia and for some reason continues in use beyond that of nearby sites in use during the Roman period. 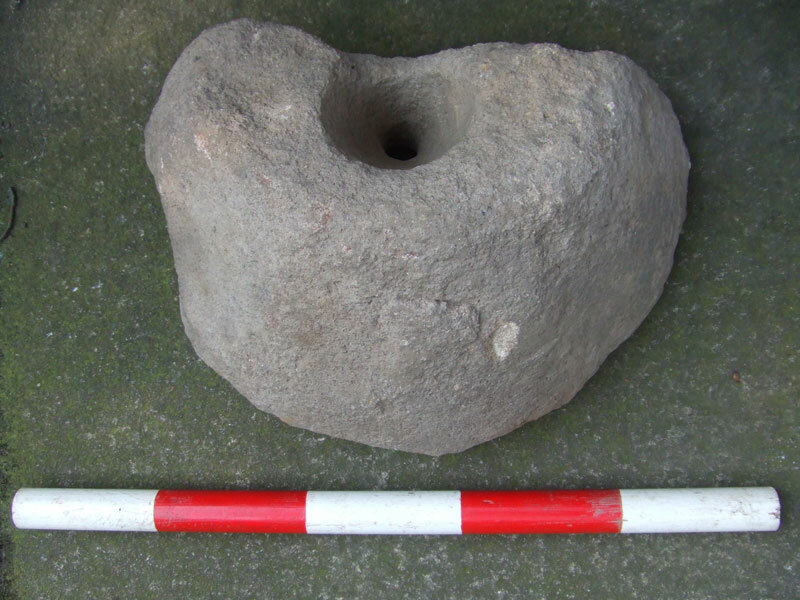 Unfortunately Paleo-environmental evidence has been dissapointing and the acidic nature of the soil has a very adverse effect on bone remains, but quern stones have been found which were used to grind grain and spindle whorls and loom weights for producing cloth, implying a domestic setting with a mixed economy. The pottery has included a large assemblage of sherds of Romano - British pottery , which includes Samian ware and comprises a wide range of High Status types with date ranges from the late 1st Century to at least the mid 3rd Century and coming from distant sources including the Cheshire Plains, around Belper in Derbyshire, Lincolnshire and possibly mortaria from Widerspool. 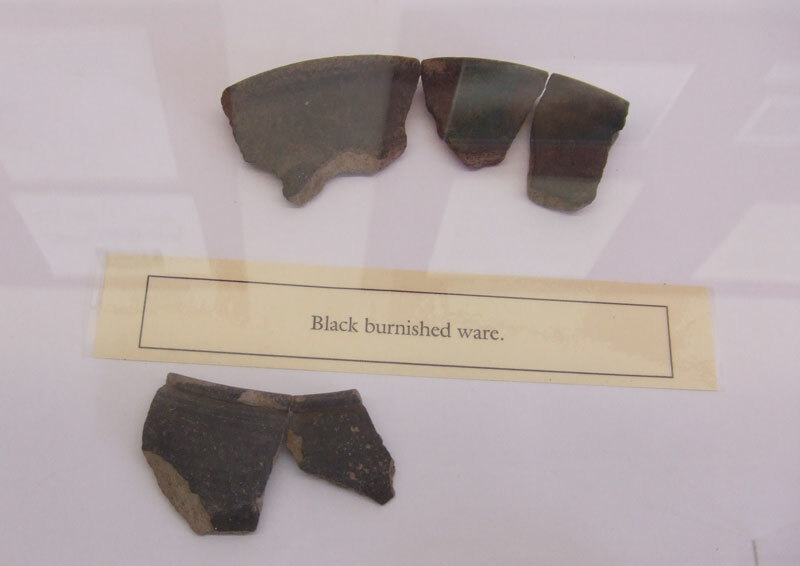 It also includes quite a number of scraps of briquetage, which was a type of pottery used to transport and store salt. Most of these came from the top two fills of the Deep Inner Ditch which seems to have been deliberately back filled at some later date. 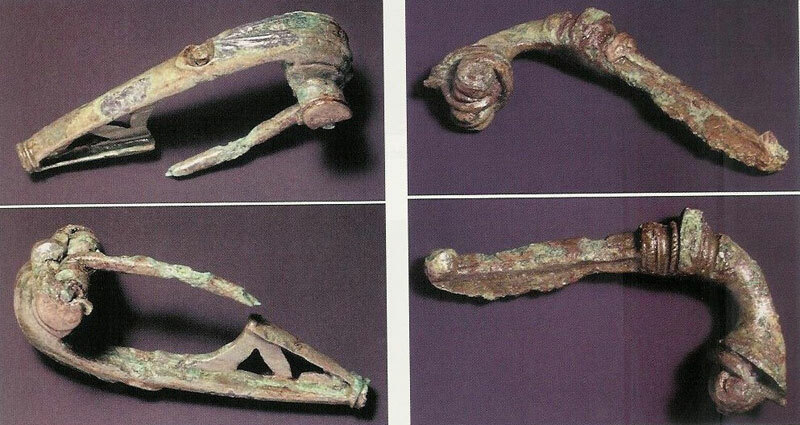 Several other excavated features have contained artefacts from the 1st to 4th Century, but repeated useage of the site does mean that many of these could have been redeposited within in-fills of later features. 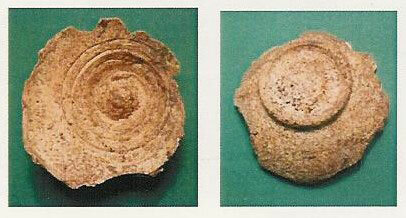 This was quite possibly the case with the large amount of finds from Trench 18 which was excavated in 2003. It has not been possible to establish whetherbthis ws the case or not. Given the stategic and topographic advantages of the site it might have been anticipated that it would have been subject to a militay occupation . Excavation has so far found little structural evidence for such a settlement and certainly no characteristic dominating 'Roman Footprint' Military occupation would also have been expected to have ended well before the 4th Century, possibly even to have been confined to the principal phase of military occupation of the North West (AD 70-125) and yet Mellor continues in use far beyond this period. It is possible, therefore, that either the site was either civilian in character from the start, or that military occupation was either sited elsewhere on the hilltop or so temporary in nature that it only had a limited impact. 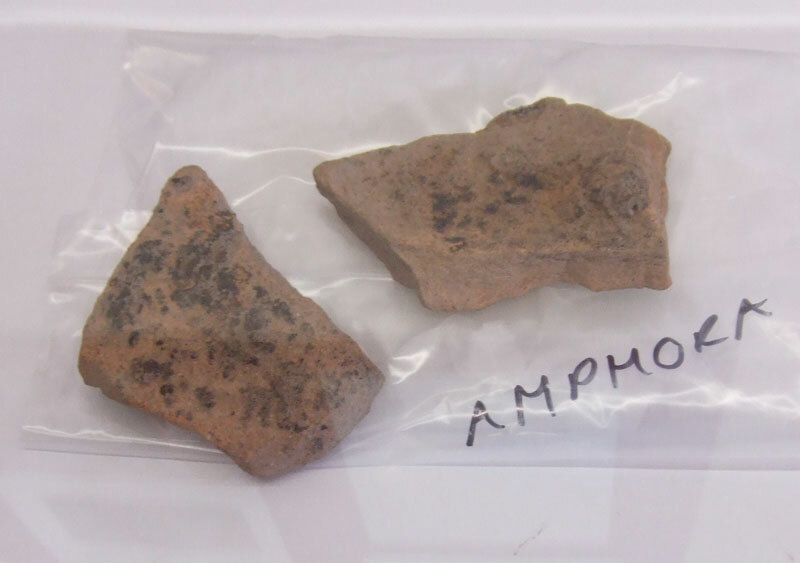 The discovery of tile fragments suggests that buildings must have been erected during this period, although no structural remains have so far been found. 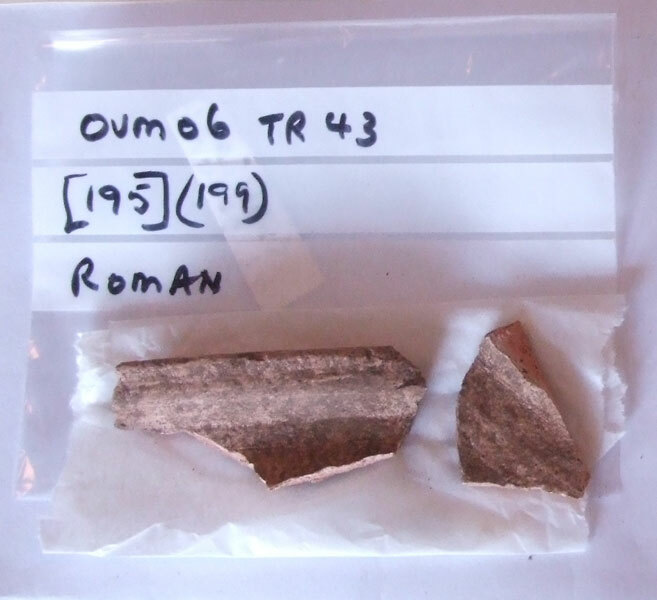 Only one securely dated feature has been uncovered which can be assigned to the Romano British Period, stratigraphically and artefactually, which was a single shallow ditch containing a sherd of Romano-British Derbyshire Ware pottery, dating from the 2nd Century AD, several stake holes cut into the edge of the ditch suggesting that it served as an enclosure boundary.